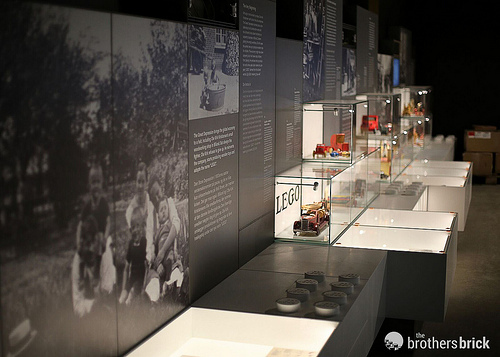 On 22 Sept, LEGO House opened it’s doors to over 600 adult fans of LEGO and their families, allowing advanced access to this world of creative experiences. 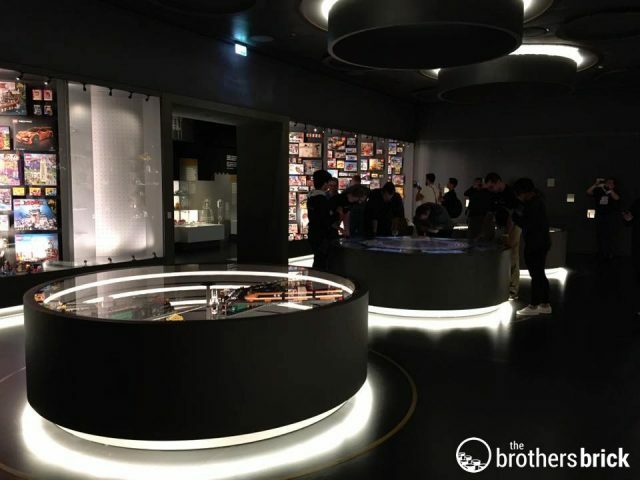 The official public opening is on the 28th Sept, but The Brothers Brick flew over to Billund to attend the preview opening to give you a closer look inside the Home of the Brick. 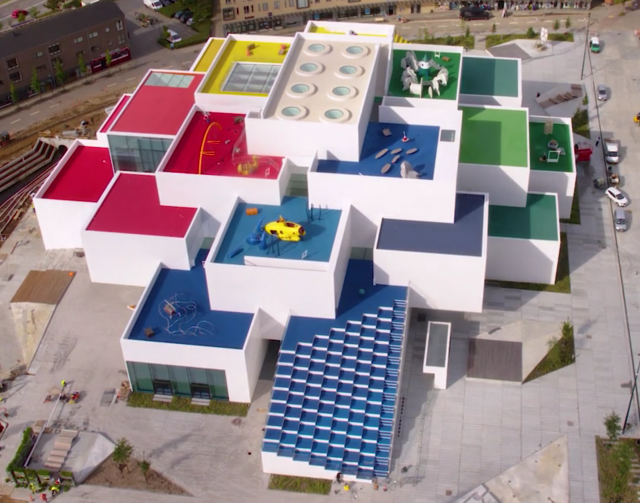 LEGO House exterior is certainly striking, designed by Danish architect, Bjarke Ingels to look like a stack of bricks from the outside with the keystone white 2×4 LEGO brick on top. 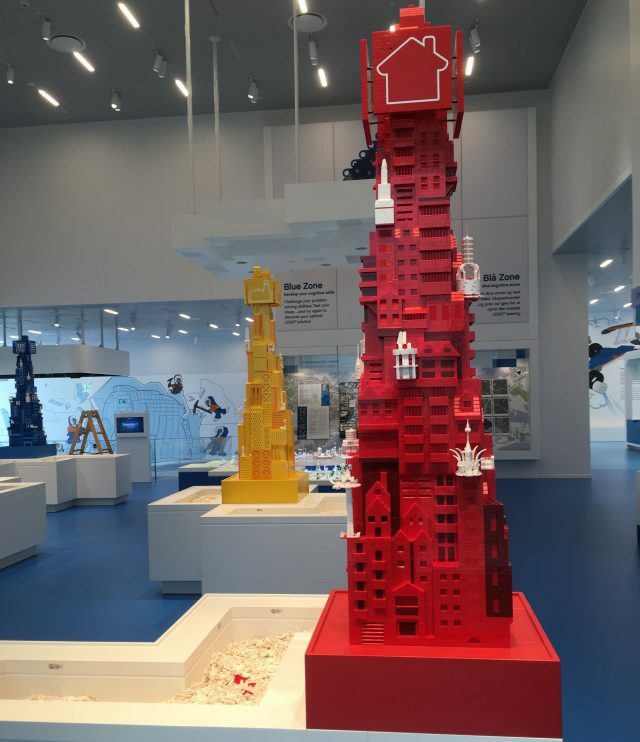 The 21 colourful interlocking bricks contain four playful Experience Zones, with tons of creative fun, a Masterpiece Gallery inside the Keystone at the very top, a LEGO History Museum in the basement, three restaurants, and a LEGO Brand Retail Store. Lets step inside. 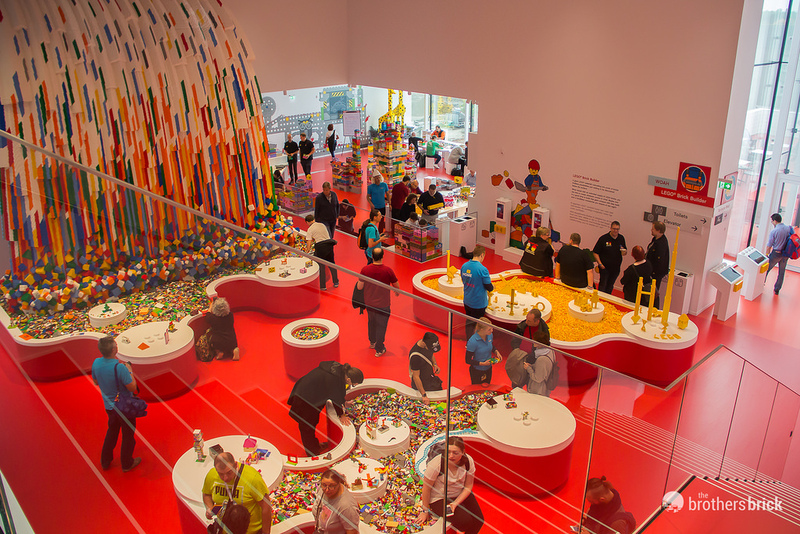 On entering LEGO House, you find yourself in the main foyer. A cavernous area that reaches from the floor to the Masterpiece Gallery in the roof. 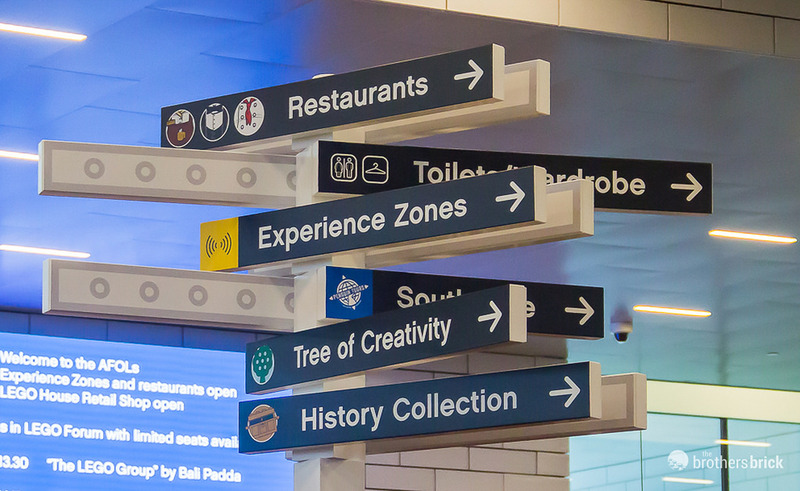 The foyer is known as LEGO Square and is where the LEGO Retail Store, two restaurants, Brickaccino cafe and elevator access to the roof terraces can be found. 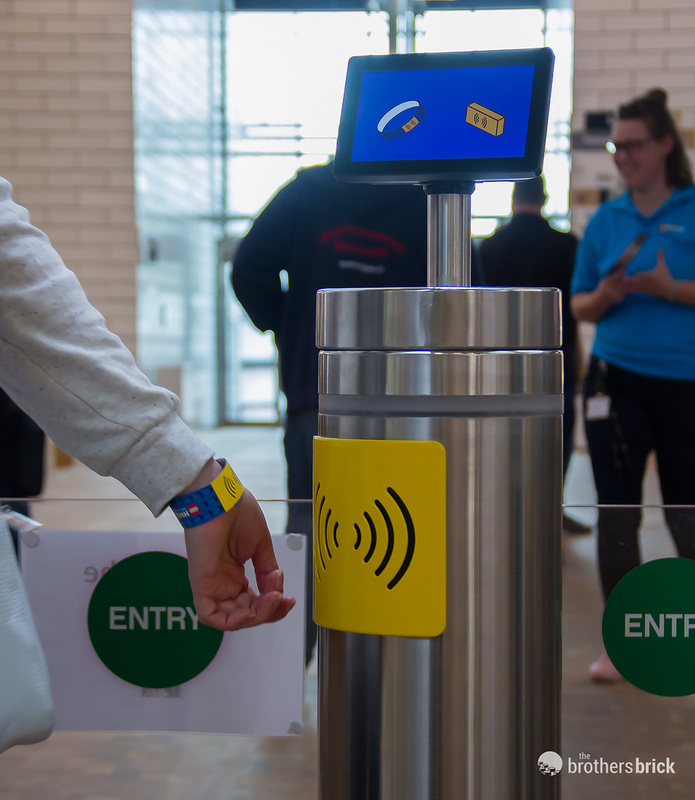 Also in the foyer are machines to scan your advanced purchased tickets and the code is converted into a wearable wristband that grants you access into the Experience Zones. Tickets for the experience zones cost 199DKK/US$31/£23 each for adults and children (free for accompanied children under 2) and are purchased online in advance for an arrival time but you can stay as long as you wish until the House closes at 8 pm. 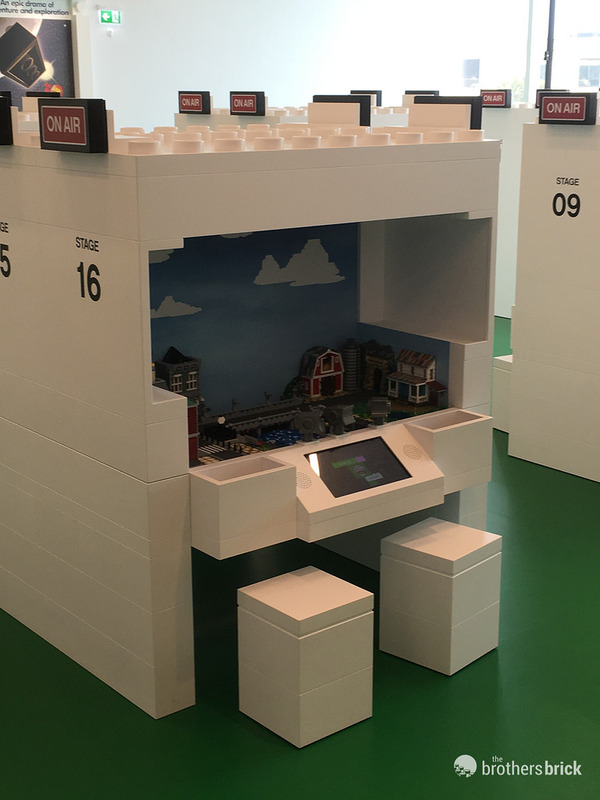 The genius part about this is that the wristband can be scanned throughout the experience zones to allow your creations and experiences that day to be saved and accessible via the LEGO House app at a later date. Once inside, the central staircase grants access to all the levels of LEGO House (NB there are elevators too of course for prams, those with limited mobility etc) which winds around the awesome Tree of Creativity standing at over 15 metres tall. 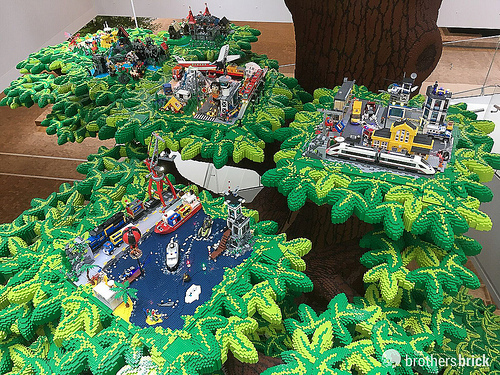 Upon the branches, there are scenes representing themes and ideas that have been developed by the LEGO Group over the years. The base and roots of the tree represent the LEGO Group foundation in wooden toys, and up at the very top LEGO minifigure workers are building new branches using a giant crane. The branches in between are decorated with lovely dioramas, each evoking a different theme. 1. Visit the Masterpiece Gallery. At the top of the Tree of Creativity Staircase located inside the keystone oversized white 2×4 brick, you will enter the Masterpiece Gallery. 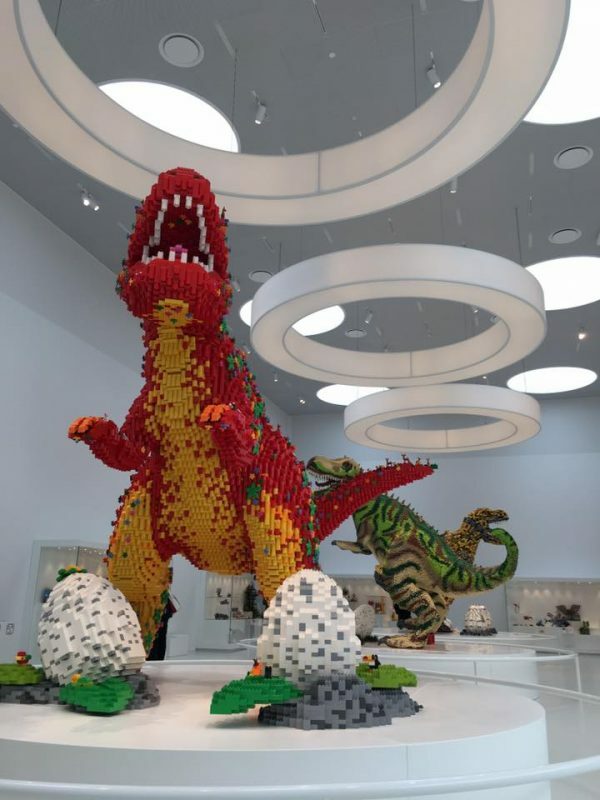 Within this huge gallery space the three massive T-Rex dinosaurs, made from Duplo, System and Technic bricks require that you immediately stop and stare. The concept and the design of each T-Rex was developed with a huge amount of input from fans worldwide. 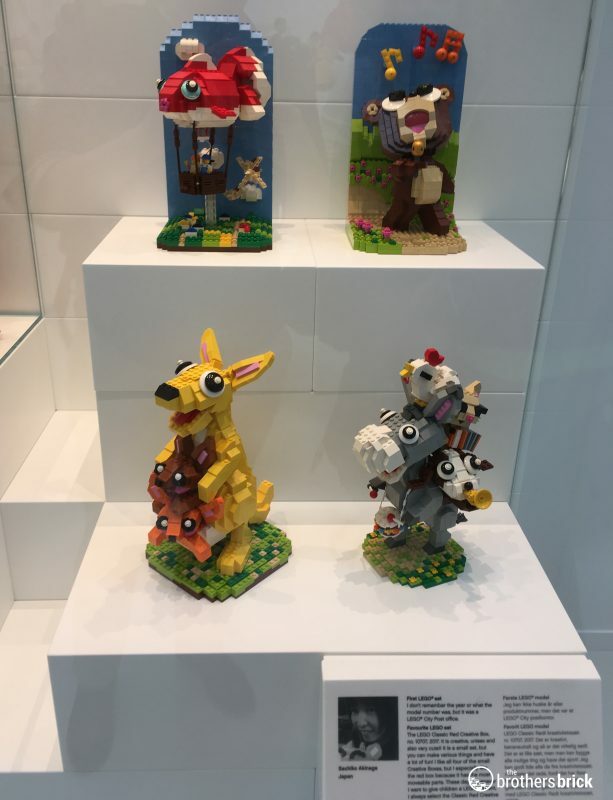 In the display cases around the outside of the room, there are models from 18 different fan LEGO builders around the world and in time, these models will change to feature other artists. 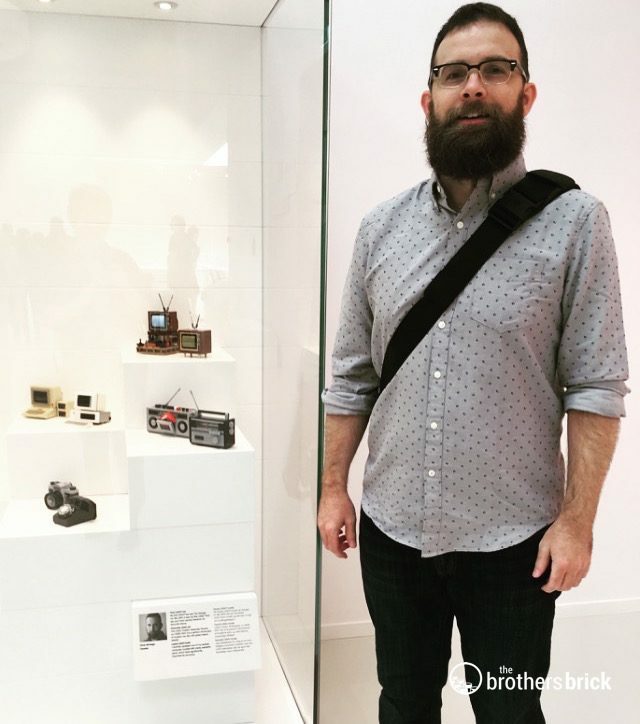 All of the fan artists with models installed in the Masterpiece Gallery have been featured on TBB previously and will be familiar to many of our readers; Chris McVeigh, Peter Reid, Ian Hou, Imagine Rigney, Jared Chan, Jarek Książczyk, Marin Stipkovic, Rafal Piasek, Samuel Pister, Sean Mayo, Tyler Clites, Cristiano Grassi, Elspeth De Montes, Djordje Dobrosavljevic, Sachiko Akinaga, Jonas Kramm, Martin Redfern. 2. Create a minifigure character in the Red Zone. 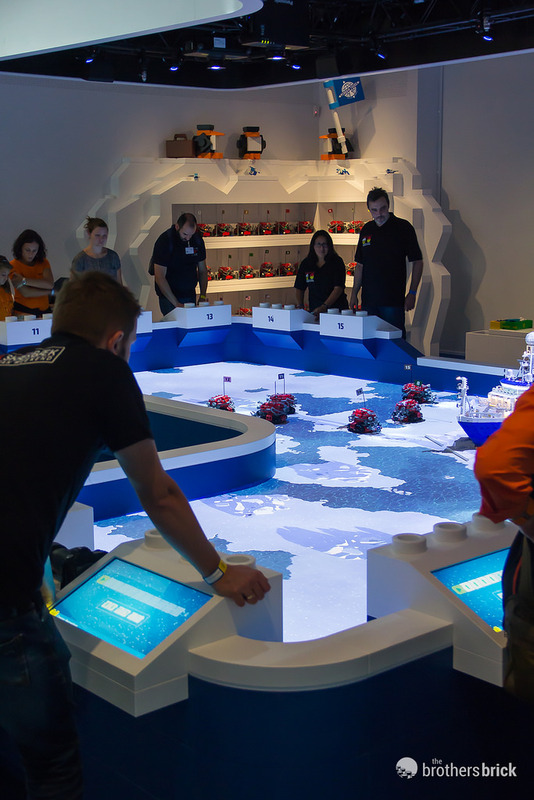 There are a numerous stations set up, with over-sized minifigures surrounded by a moat of LEGO minifigure parts and accessories. The Character Creation area is an Aladdin’s cave for fans of minifigures and mini-dolls, build as many variations as your heart desires. The volume and variety of minifigure and mini-doll parts and accessories available to chose from is really quite phenomenal. The amount of time some adults spend perfecting their minifigure characters will pale in comparison to the love children have for creating these little people. Your completed minifigure can be scanned and then a selection of optional backgrounds allows you to instantly become a style icon, rockstar, superhero or even get your mini-self on the front of TIME magazine! 3. Build a fish and let it virtually swim. The digital under-the-sea zone is full of interesting looking, rare fish and sea creatures. 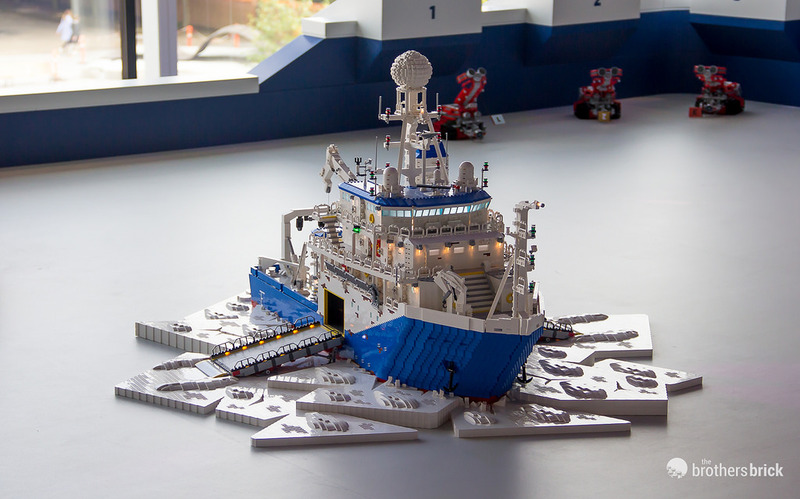 There are plenty of bricks to make your own fish which you can then scan and admire as your brick creation transforms into a digital fish going on some aquatic adventures. 4. 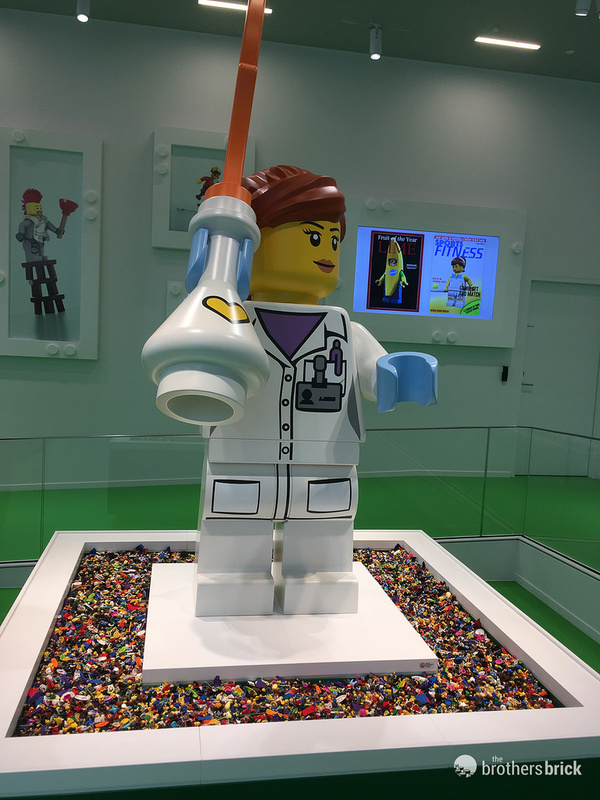 Become a movie director and create a stop motion movie that premiers in the LEGO House cinema. There are fantastic little stop motion movie booths all ready for your movie directing début. With the scene set, lots of minifigures available and the camera ready, all you need to do is sit down and start getting creative. Once you have finished, the stop motion movie will première at the cosy cinema in LEGO House with an audience made up of other LEGO House visitors. 5. 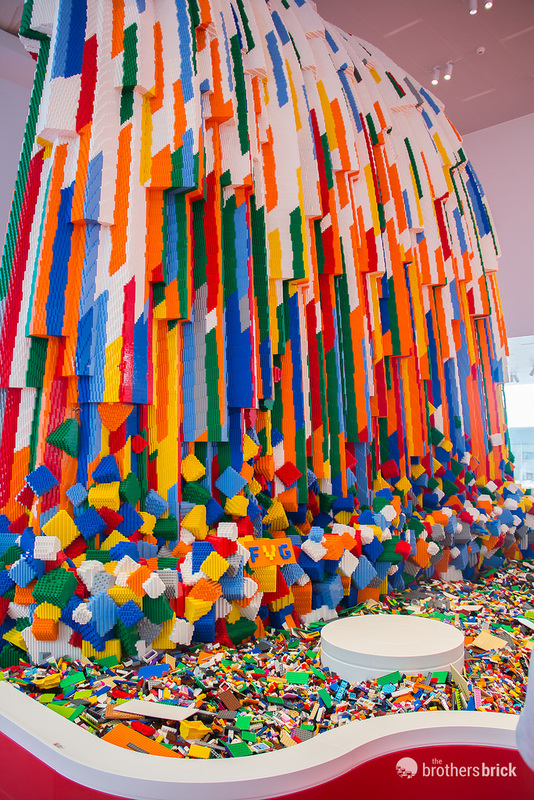 Set your imagination free with a waterfall of LEGO bricks. If you fancy just having all the bricks and parts you could ever imagine at your fingertips, head over the the Waterfall of bricks. There’s no limit to what you can build, and the colour and volume of parts available is really phenomenal. Younger fans, or perhaps adults who just fancy using some bigger bricks, have not been forgotten as there is an equally impressive Duplo waterfall and pool of parts. 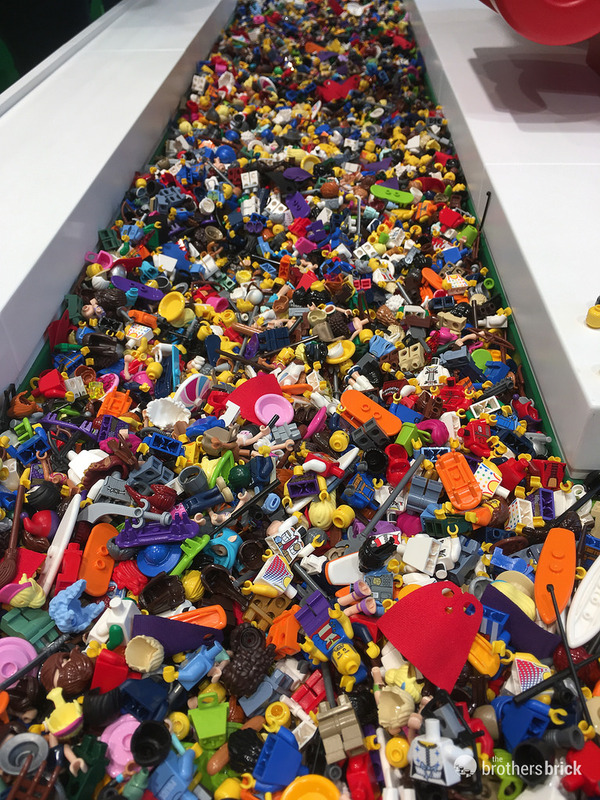 We spotted so many awesome Duplo animals relaxing in this pool just waiting to become part of a child’s LEGO House experience. 6. Take on the roles of city architect and town planner in the Blue Zone. I loved this LEGO meets Sim City area in LEGO House. 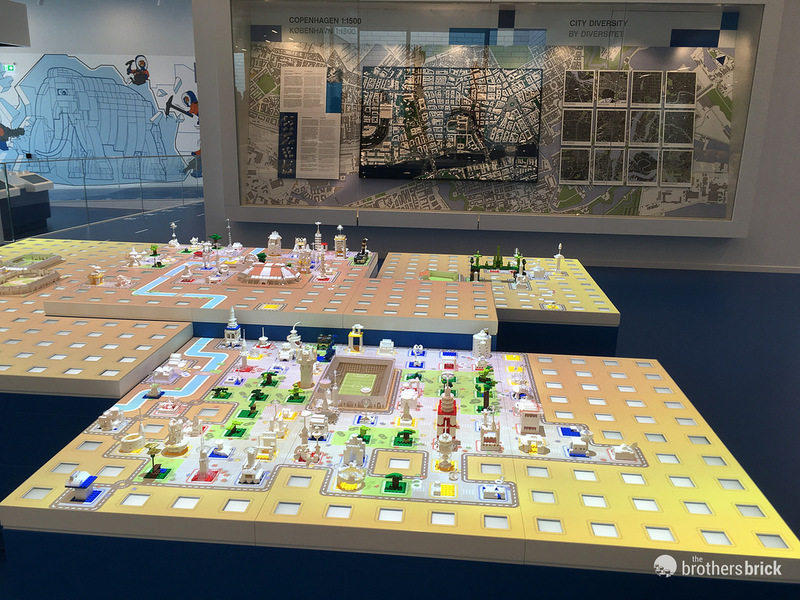 City layouts have been created that interact with the red, green and yellow and blue 8×8 plates to become part of a interactive city. The little digital people will flock to the local stadium to watch a game when they are happy or walk in circles waiting for you to create some services when they are unhappy. It’s all about building what the little people want and utilising your cognitive skills for creativity and understanding the interactions within the city. It is worth pointing out the fantastic 1:1500 scale Copenhagen build in the background of the image, this was built by fan builder, Ulrik Hansen. 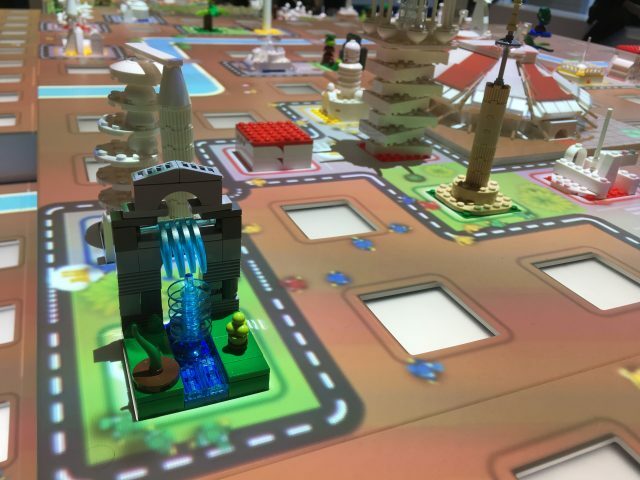 Once your creation has been built onto the 8×8 plate using the parts available everywhere around the city zones, you can place your 8×8 plate onto the city layout and watch as the little people start to interact with your build, changing the rhythm of the city and expanding the interactive area. 7. Become a hero with an Arctic adventure rescue mission in the Robo Lab. The mission start with the setting the scene as you are told the story of a polar expedition who have been sent to find and rescue an ancient mammoth.Unfortunately all of the explorers have become frozen in Arctic ice and now you have to find and rescue them. Each team member commands a bot, a Mindstorms EV3 programmable robot, controlled via a touch screen. You can program your bot to move forwards, backwards, turn 90 degrees, freeze water to move on the ice surface or use a flamethrower to free a minifigure from its frozen cage. The mission is a collaboration, not a competition so everyone needs to work together to save all the minifigures around the map. There are all sorts of interactive changes that can occur in game and it is entertaining to see how the bots are integrated with the map and the minifigures react to situations. Each game lasts around 10 minutes before the bots are charged and another team takes control. You can take part as many times as you wish by simply scanning your wristband to join the team. 8. 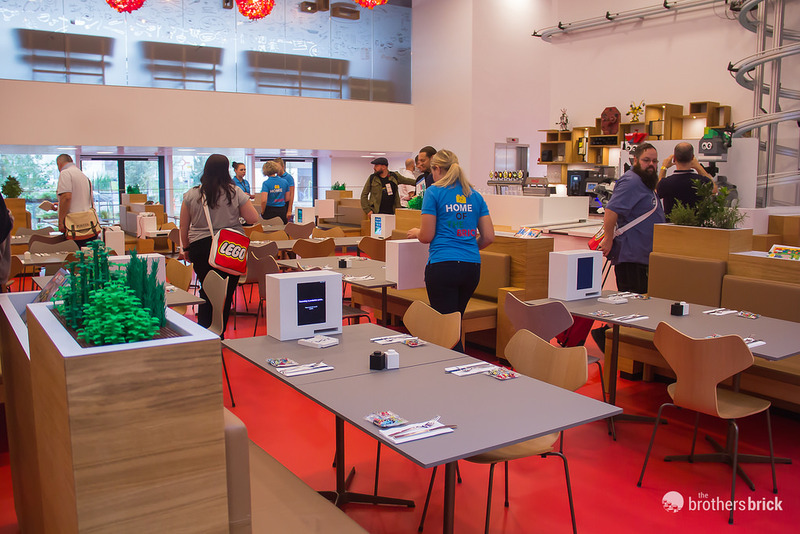 Order lunch in the Mini Chef restaurant and have it prepared by minifigures and served by robots. 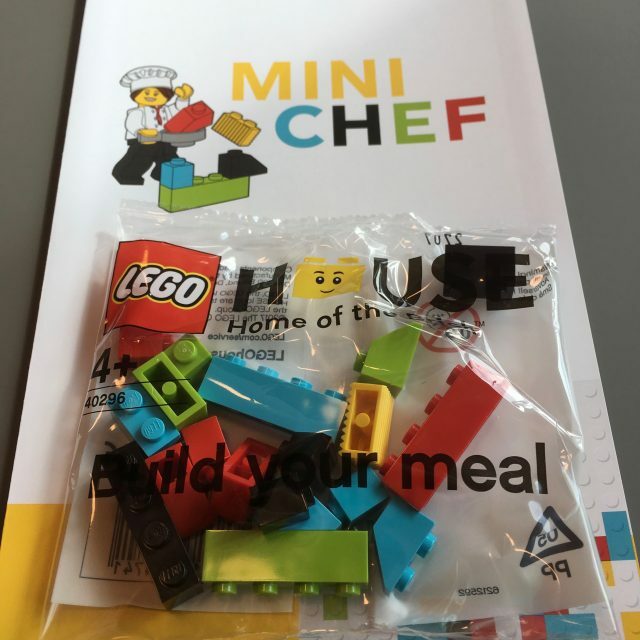 Mini Chef is one of two restaurants in LEGO House that are open to the public (remember that access to the restaurants and Brickaccino cafe does not require tickets) and is more family focussed and relaxed. 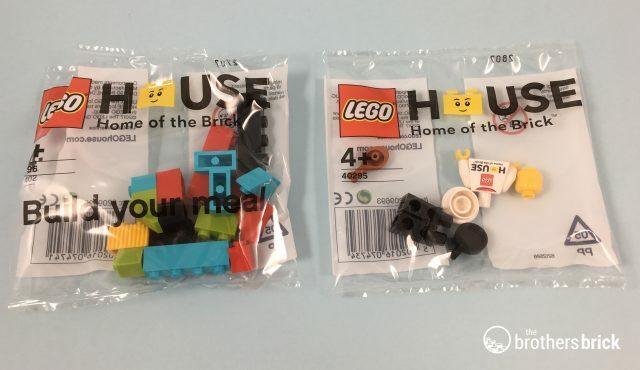 Starting with the menu, you make your selection from the polybag of bricks supplied at your table and then pop your build into a scanning machine. A quirky fun animation film is then played which shows your brick selection being turned into a meal. The LEGO chef is not happy if you try to add to sides of fries and ignore your greens – one of each colour must be chosen! 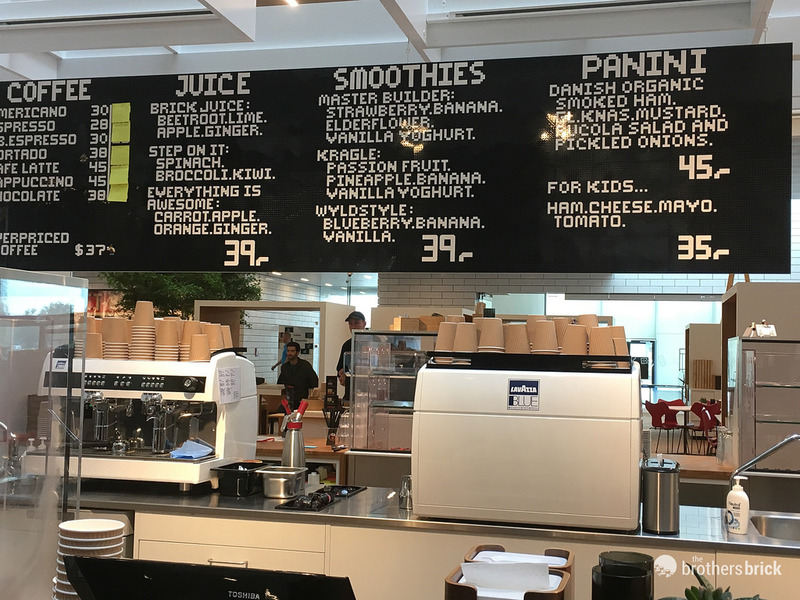 The meal costs 169DKK/ US$27/£20 for adults and 98DKK/US$15/£12 for children. 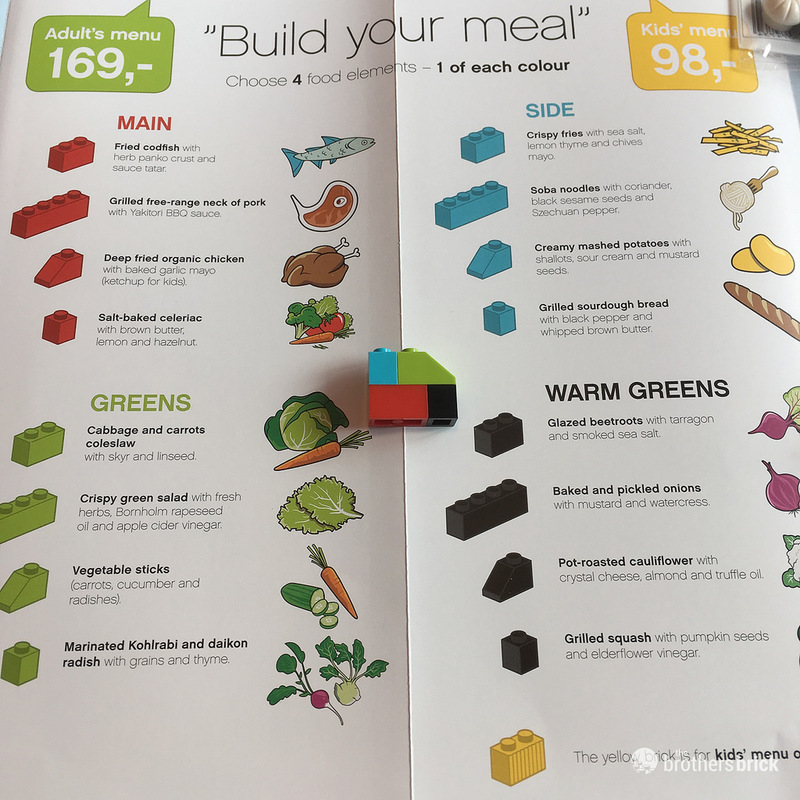 Select the children’s menu by placing the yellow brick into your order and a LEGO House chef minifigure is supplied with your meal. Once your table order is ready, the console signals the imminent arrival of your stack of boxes and it’s time to head over to the Mini Chef robots who will cheerfully pass your meal brick box to you. 9. Create a Critter and watch it dance or slither. 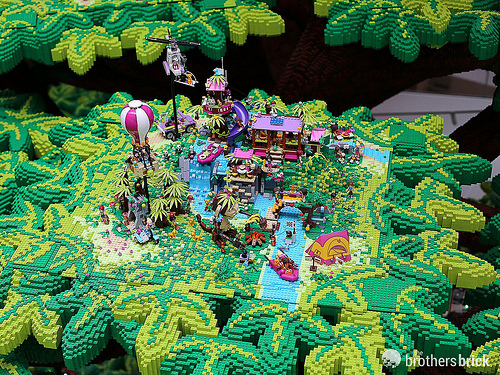 In the Nature-themed area, there is ample space and bricks for plenty of building fun. 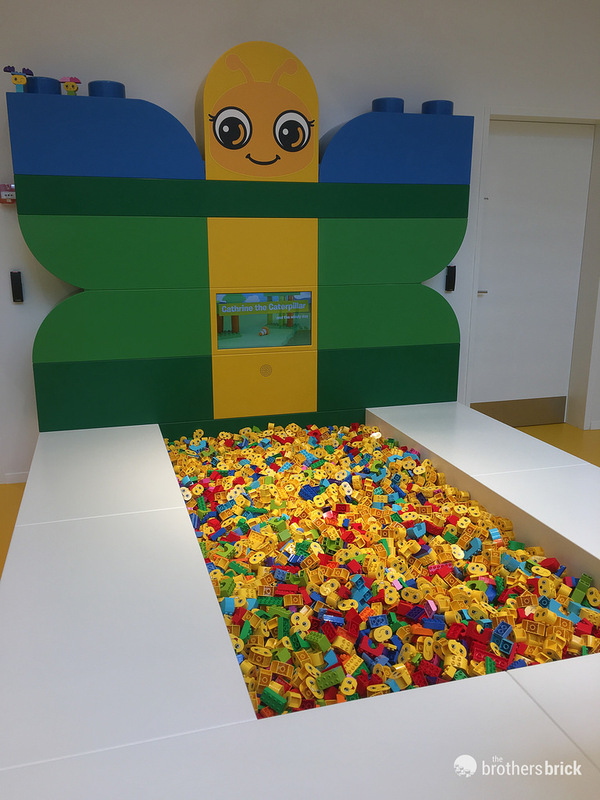 Younger LEGO fans can build Duplo brick-built people with emotions in response to an interactive story about Catherine the Caterpillar while the older fans amongst us will probably prefer the slithery race track and the ‘bopping’ lily pads. 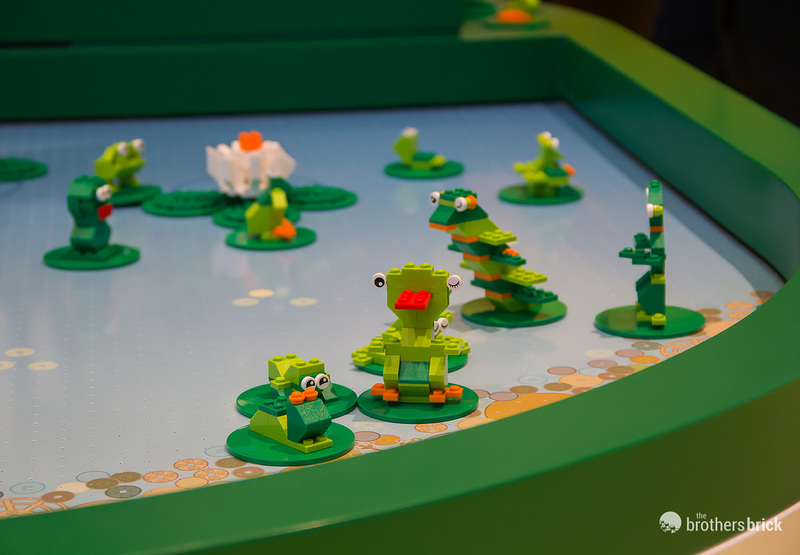 The creatures built can be placed either on a 8×8 round tile lily pad or use car wash rollers for legs. The slithery race track and the water surface start to bounce and move in time to some fun music which results in a surprising amount of movement from the creatures on the surface. This seeming simply method is actually a lot of fun and, as always in LEGO House, there are more parts and bricks available than you could ever dream of. 10. 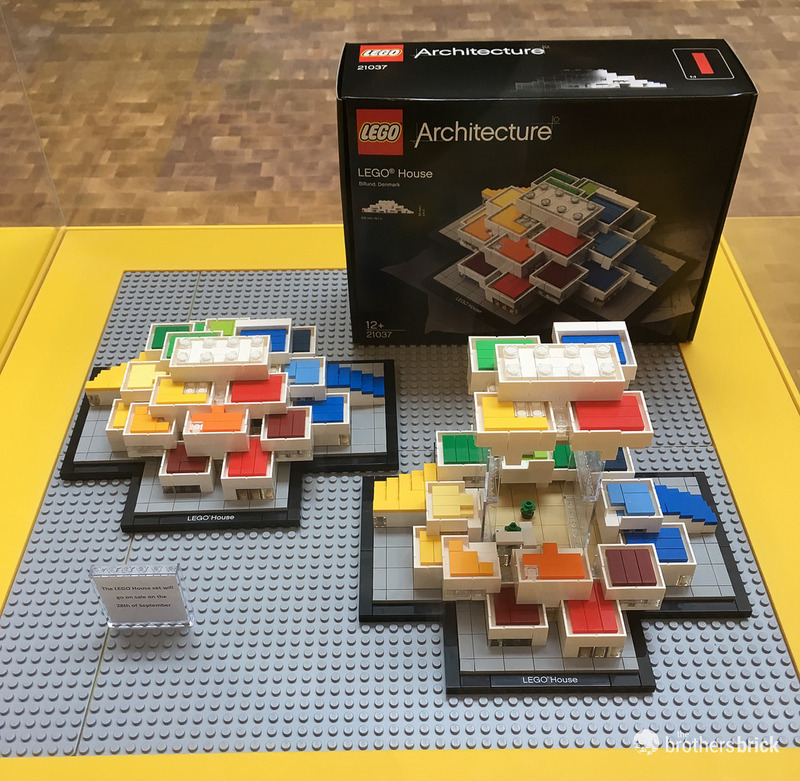 Become part of LEGO House with your own 6-brick ‘dna combination’. 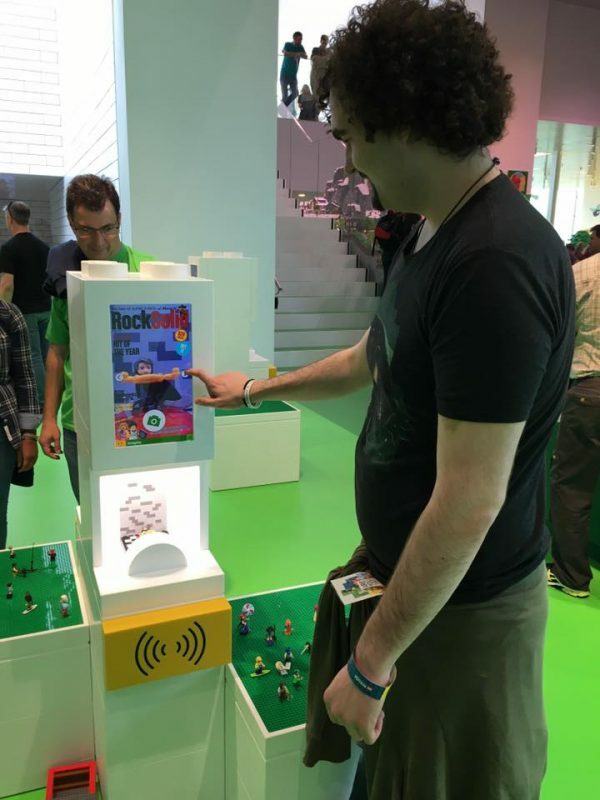 Your wristband serves another purpose as it supplies you with your own LEGO dna. 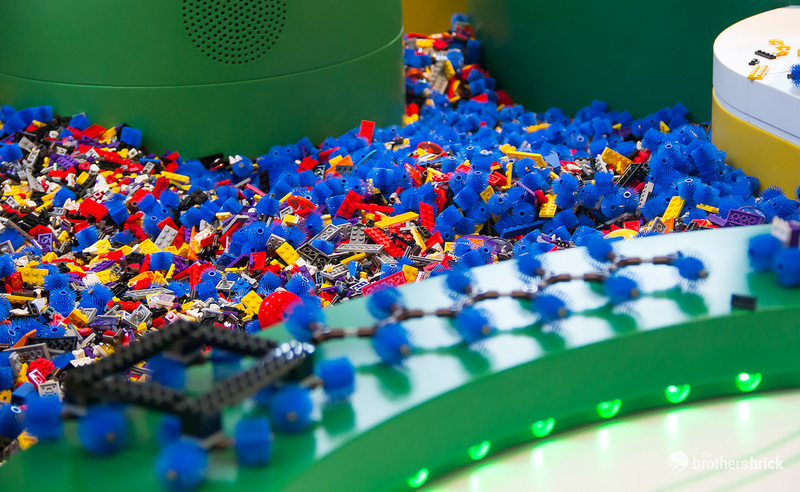 An actual moulding maching sits at the bottom of the Tree of Creativity within the ticket-required part of the LEGO House foyer. 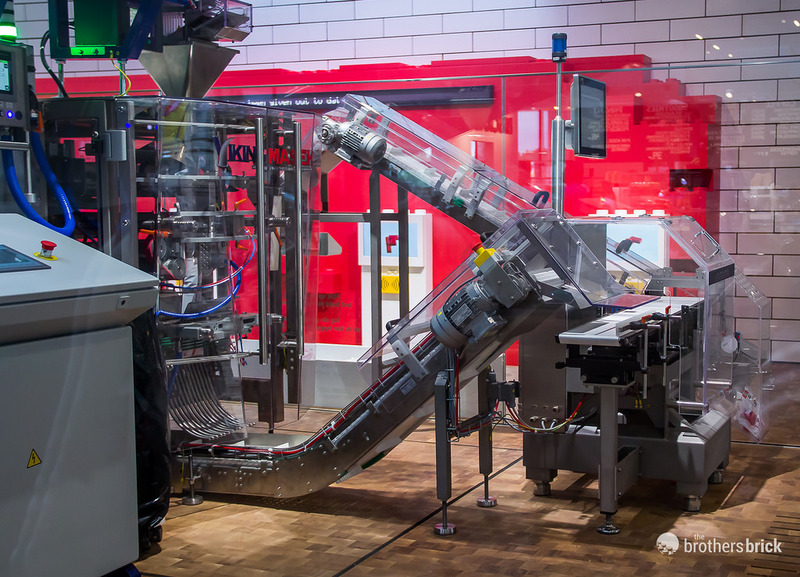 This moulding machine is making red 2×4 bricks in real time and you can watch as the bricks are born, collected and popped into a polybag ready to become part of your LEGO House memory. 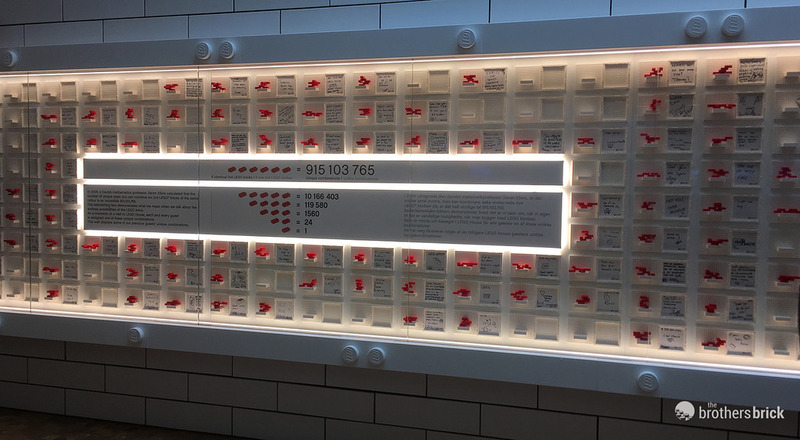 There are 915,103,765 different combinations to connect the six 2×4 bricks, and LEGO House is using this mind boggling piece of creative mathematics to give a unique take home memory of your experience. 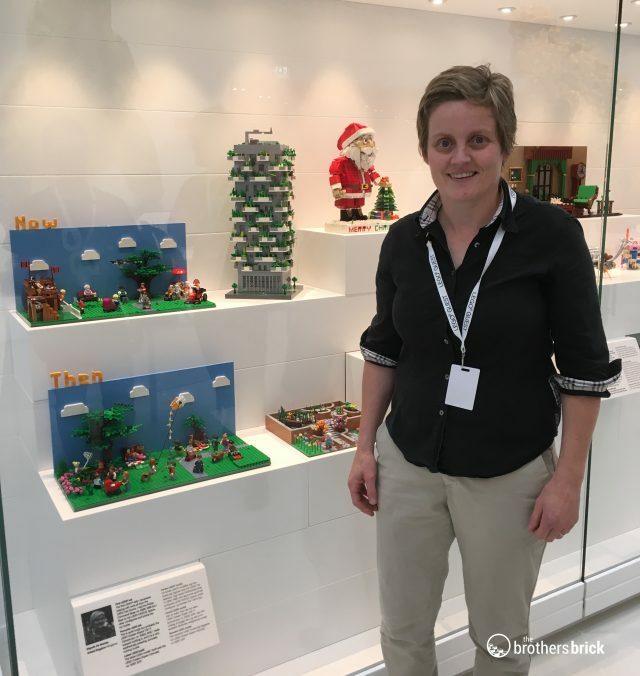 There is a display of some combinations on the wall at LEGO House and, as I had the honour of being one of the builders currently in the Masterpiece Gallery, my own unique LEGO combination is up on display. 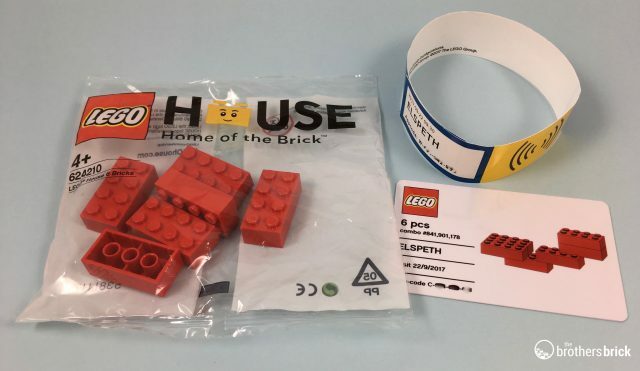 Every wristband can be scanned to supply a plastic card with your name, visit date, code to access all of your saved builds and experiences on the LEGO House app and a unique build using the six 2×4 LEGO bricks. Phew! Time for a coffee at Brickaccino. 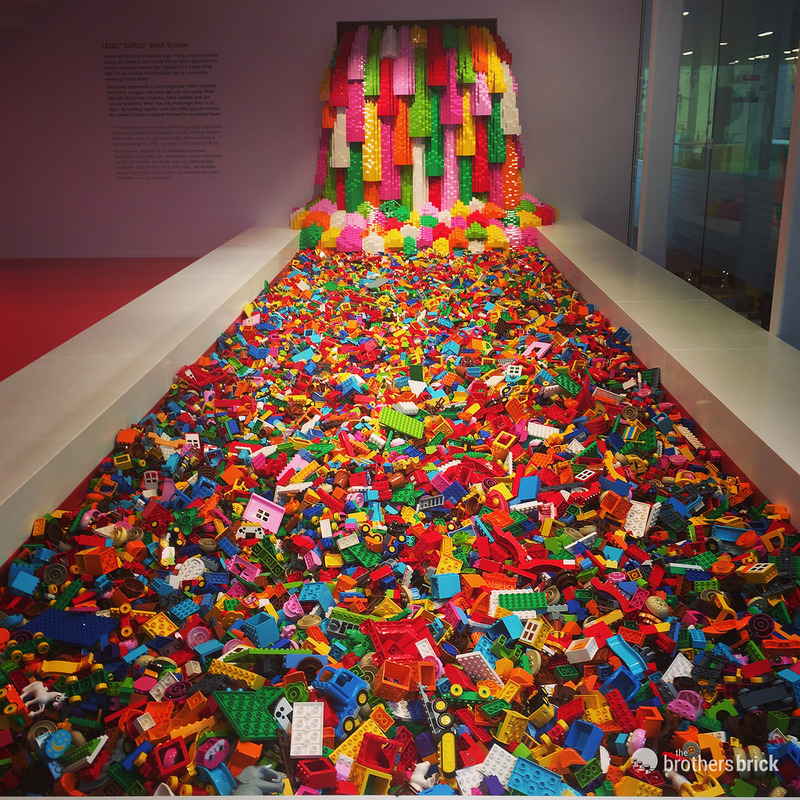 Although we have limited our LEGO House experiences to 10, there is clearly more to do within LEGO House as we haven’t told you about the racing track areas, the graffiti Castle, Creativity Labs or the been outside yet onto the terraces nor into the depths of the basement. 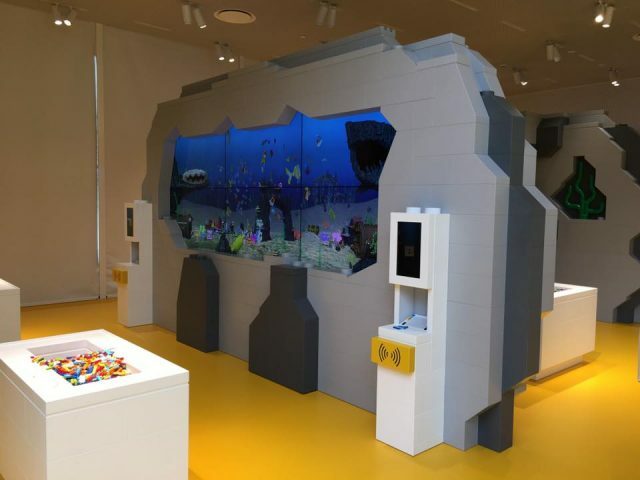 There is also the opportunity to pop into the LEGO Retail store to buy the two exclusive Pick-A-Model sets (see the Fish tank model instructions to build your own ) or the awesome updated LEGO House 21037 Architecture set. There’s more to come…so stay tuned. Nice review! We’ll be visiting in two weeks (still waiting to pull the trigger till a wee bit closer to watch the weather as we’re also going to Legoland of course). I’m glad now to have a better idea of what we’ll be seeing. The three of us are going to have so much fun! We are planning on doing one full day there. The cost of table service is not far from the cost of entry but of course we’ll be sure to do it. 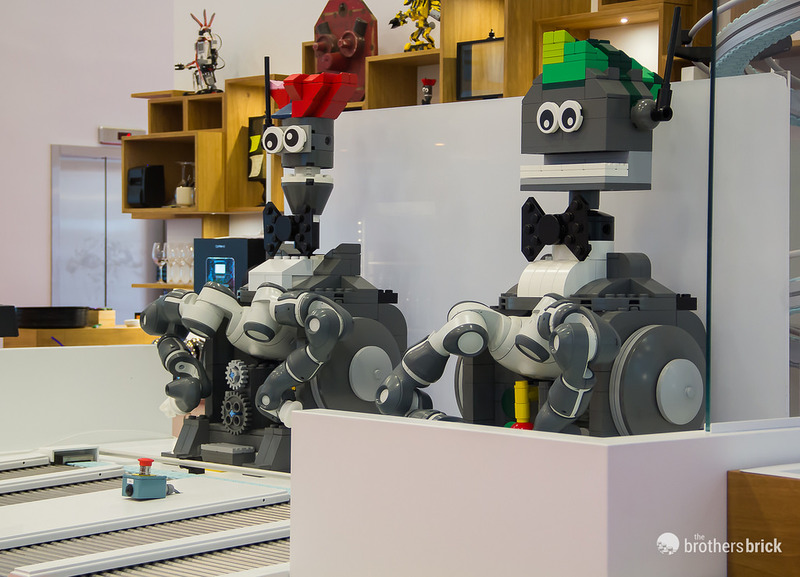 It sounds fun to order ones meal from a set of bricks and hafevit delivered by a robot. What a clever idea! The price of espresso at the cafe is higher than I was expecting in comparison to the sandwich. I really enjoy comparing the cost of food around the world. I’ll be certain to pick up the exclusive sets. Do you remember the prices? Any other exclusive sets we should pick up at Legoland or the Lego store in Copenhagen? What fun! Is one day enough, or should visitors budget more than one day to take it all in? One full day is enough in reality as it stays open until 2000 but I would happily return the next day ? Are you sure? Mine was 449 DDK yesterday. I bought two and got a free 40145 because the shop was new! 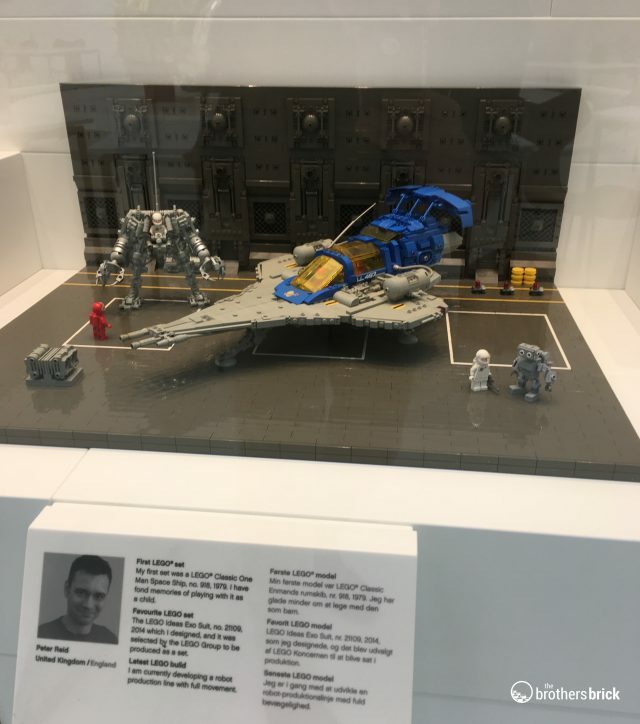 If flying into the Billund airport to see this, does anyone know if they still have the exclusive airport set available there? No the Billund Airport set is no less ne’er available.